Blood Pressure is a diary for tracking measurements taken at home using an ordinary BP monitor. Its elegant user interface makes keeping eye on this vital sign more enjoyable than ever before. It also empowers you to see the changes and reasons behind them using simple analysis tools – interactive chart, statistics, tagging and filtering. 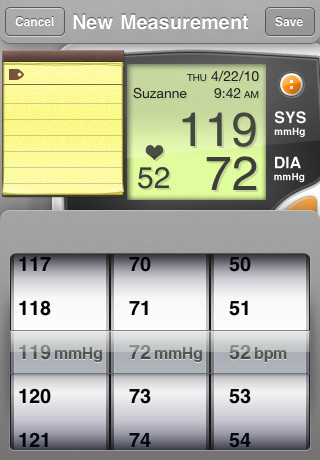 AppSafari review of Blood Pressure was written by Joe Seifi on August 31st, 2010 and categorized under App Store, Health, Notes. Page viewed 6904 times, 2 so far today. Need help on using these apps? Please read the Help Page.